Proper insulation and air sealing also keeps attics cold in winter by blocking the entry of heat and moist air from below. In the summer, natural air flow in a well-vented attic moves super-heated air out of the attic, protecting roof shingles and removing moisture. The insulation will resist heat transfer into the house. 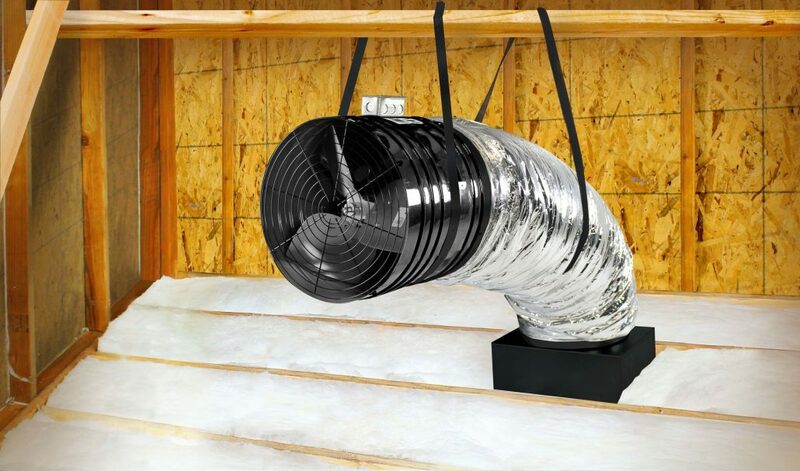 You don’t want your unfinished attic cooled by your air conditioner. To prevent this, your field service repesentative will make sure the attic is well-ventilated using passive vents and natural air flow. 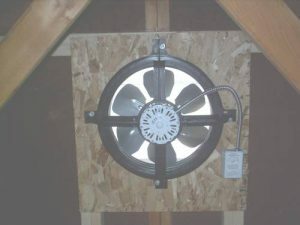 Guardian Home Insulation is an authorized dealer of Quietcool whole house fans. 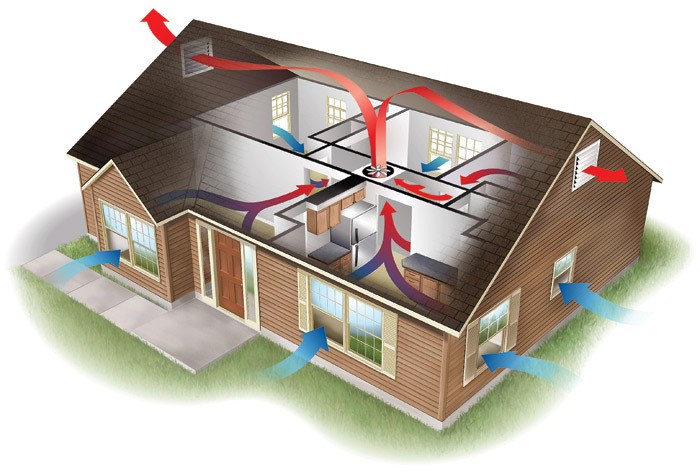 A whole house fan is an energy efficient ventilation system for the entire house. It works by pulling cooler air from the outside of your home to the inside, creating active cross breezes with open windows. Since it is normally cooler in the evenings, you would turn on your whole house fan, open a few windows and the whole house fan will cool and ventilate your entire home. Because the hot air is vented through the attic to the outside, your home stays cooler the next day as well. Your home will feel fresh and cool with a whole house ventilation fan. Whole house fans are not new! They have been around since the 1950’s, and they do exactly what they claim to do; move a lot of air! Whole house fans were first used as an inexpensive way to ventilate a home, cool it down, and save money; instead of turning on the air conditioning unit — which uses a lot of electricity, which costs a lot of money — whole house fans were designed as an alternative to A/C. The problem was that the traditional, old fashioned whole house fan sounded like a helicopter in the attic and, as a result, people would turn it on for just a few minutes at a time. And whole house fans need to run for long periods of time in order to do their job properly. Guardian therefore partnered with QuietCool, who developed and manufactured a patented whole house fan and ventilation system that is whisper-quiet compared to the traditional, old fashioned system. And because it’s quiet, people will let it run for hours and hours at a time, allowing the system to do its work!